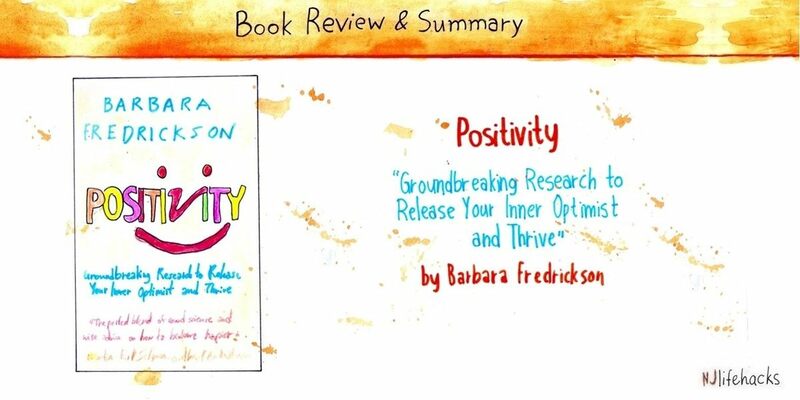 Positivity by Barbara Fredrickson is about the science of positive mind-states and how they can help us bounce back from setbacks, make meaningful connections with others, improve our health, and help us become the best version of ourselves. 1) It explains why Positivity—meaning positive mind-states, such as gratitude, hope, interest, amusement, or joy—optimizes our brains and bodies for peak performance. 2) It illustrates methods to increase the amount of Positivity we experience in life. This is a science-based book and has nothing to do with the kind of positive thinking the law of attraction would advocate. 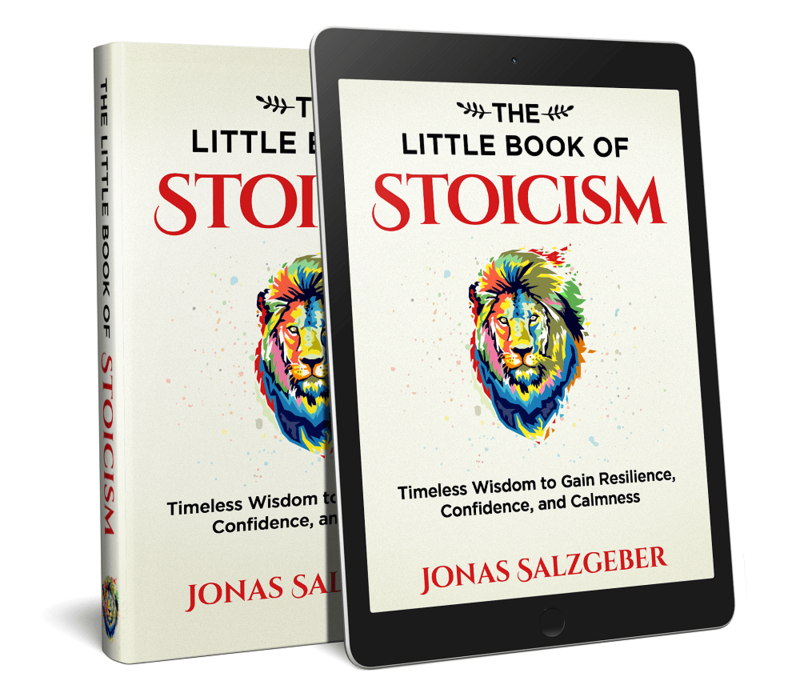 If you’re into Positive Psychology (the science of well-being and flourishing) or just want to improve your life or become happier, this book has lots to offer you. Barbara Fredrickson uses the term “positivity” to describe the experience of one or several positive emotions. In the book, she introduces us to the following ten specific forms of positivity: joy, gratitude, serenity, interest, hope, pride, amusement, inspiration, awe, and love. They don’t last long. Good feelings come and go, much like clouds in the sky. That’s natural. It’s how we humans are designed. The goal isn’t to cling to positivity, denying its transient nature. Rather, it’s to seed more of it into your life—to increase the amount of positivity you experience over time. They change how your mind works. As you’re about to learn, your brain is hardwired to perform at its best during positive rather than negative feeling states. They transform your future. Although they are fleeting in the moment, over time, they accrue and help you build physical, mental, psychological, and social resources (see point #4). They put the brakes on negativity. Positivity can literally “undo” the harmful aftereffects of stress, anxiety, and general negativity (see point #5). Positivity obeys a tipping point. Once you reach a certain positivity tipping point, you create upward spirals in your life. Once you fall below the tipping point, you create downward spirals in your life (see point #6). You can increase your positivity. The last four points will show you science-backed strategies for decreasing negativity and increasing positivity. Although each type of positivity feels unique and arises for different reasons, they all subscribe to those same basic facts. “…positivity does so much more than simply signal the absence of negativity and health risks. It does more than signal the presence of safety and satisfaction, success or good health. Positivity offers more than merely feeling good or signaling the presence of safety and satisfaction, success, or good health. Positivity, by optimizing how our minds and bodies function, is the doorway to greater health, better relationships, improved resiliency, and more overall success in life. As Fredrickson puts it, positivity makes the difference between languishing or flourishing—it’s that important! Over the next three points, we’ll look at three specific ways positivity makes you better: it broadens your mind, builds resources, and helps you bounce back from setbacks. Positivity opens us; negativity closes us. Like the lilies bloom every time the sun comes and close up when the sun leaves, so do we open up when positivity comes and retract when it leaves. Research shows that your field of vision literally expands when positivity courses through your veins. As your field of awareness expands, both internally and externally, you’re able to see more—more insights, more ideas, more connections, and more creative solutions to problems. Positivity also alters how you see connections between you and others. You see unity rather than segregation. You think we rather than me. As a result, studies show you’re less likely to act with racial biases and more likely to help people in need. This broaden effect, as Fredrickson calls it, makes you more creative, open-minded, kind, and an overall better person. You are basically a bundle of resources—psychological strengths, mental habits, social connections, physical health, and more. If you expand those resources, you’re growing and your life gets better. If you reduce those resources, you’re stagnating and your life gets worse. Positivity, as opposed to negativity, helps you build those core resources, and therefore transforms you for the better. Let’s discuss some evidence showing how positivity helps you grow psychologically, mentally, socially, and physically. Positivity builds psychological strengths. Research shows that people who experience more positivity in their lives become more optimistic, more open, more resilient, more accepting, and more driven by a sense of purpose. Positivity builds good mental habits. Positivity helps you make healthy mental shifts, such as becoming more mindful of your surroundings, better at savoring what’s good in your life, better at considering many different ways to reach your goals, or better at finding multiple pathways around problems. Positivity builds social connections. Positivity is like Miracle-Gro for relationships. Fredrickson shares lots of cool research on this. In short: the more positive you are, the more and better relationships you’ll build. Positivity builds physical health. Positivity predicts lower levels of stress hormones and higher levels of bond-related and growth-related hormones. Positivity sends out more opioids and dopamine, enhances immune functioning, and lowers inflammation. It literally creates a different biochemical stew. Not surprisingly, positivity brings less pain, lower blood pressure, fewer colds, better sleep, as well as lowered risks for hypertension, diabetes, or a stroke. Together, the broadening effect and the building of resources are referred to as the broaden-and-build theory of positive emotions. Resilience is the ability to bounce back from stressful situations: a fight with your spouse, a delayed flight that may make you late for an important meeting, missing a project deadline, or something more serious like the death of a loved one. In all those instances, we need resilience to quickly bounce back. Without resilience, negativity threatens to put us on a downward path of depression, stress, and so forth. The key to resilience, it turns out, is positivity. Resilient people experience both negative and positive emotions during times of stress. And it’s the positive emotions which help them get back on track so quickly. If you only experience negative emotions in response to setbacks, you’ll lack resilience to bounce back. The good news is, you can build your resilience by creating more positivity in your life. One study mentioned in the book showed that the more positive emotions people experienced, the more their resilience levels grew over the course of a month. Points seven to ten will show you how to decrease negativity and increase positivity. “I’ve found that what matters most is your positivity ratio. It’s a way to characterize the amount of your heartfelt positivity relative to the amount of your heart-wrenching negativity. Stated formally, your positivity ratio is your frequency of positivity over any given time span, divided by your frequency of negativity over that same time span. In mathematical terms, the ratio is captured by the simple expression P/N. The benefits of positivity are like boiling water: they only appear once a certain threshold is reached. Water boils at 100 degrees Celsius; positivity broadens and builds above a ratio of 3 to 1. Whether it’s individuals, marriages, or business teams, flourishing only happens with positivity ratios above 3 to 1. Once the 3-to-1 positivity-to-negativity ratio is reached, the beneficial effects of positivity begin to really show and take on a life of their own. Above that ratio, positivity creates an upward spiral in your life—everything seems to tick, you’re creating momentum, and you’re on a fast track to greater health, more success, and so on. When your ratio falls below 1 to 1, the opposite tends to happen. Negativity creates a downward spiral in your life—you can’t seem to catch a break, nothing works as it should, and you spiral further and further into negativity and all the bad effects that come with it. The average ratio is approximately 2 to 1. The goal of the book is, of course, to help you move your ratio above the threshold. You can accomplish this by decreasing the negativity in and increasing the positivity in your life. The last four points give you strategies to do so. “Perhaps the biggest advance in twentieth-century psychological science was to unlock the ways in which predictable patterns of negative thinking breed negative emotions, so much so that they can even spiral down into pathological states like clinical depression, phobias, and obsessive-compulsive disorders. Negative emotions—like fear and anger—can also spawn negative thinking. This reciprocal dynamic is in fact why downward spirals are so slippery. Negative thoughts and negative emotions feed on each other. And as they do, they pull you down their abyss. One way to decrease the negativity in your life is to dispute negative thoughts. We all have the skills of disputing, and we use them whenever an external person—our lover, or a sibling—falsely accuses us of something. A rival may accuse you, “You don’t deserve a promotion. You’re selfish, lazy, and your coworkers can’t stand you!” In reply, you mention all the reasons he or she is wrong: that you got voted as most popular coworker last year, the discipline you showed during last month’s downturn, and the fact that you’re always one of the first people to arrive at the office. That’s what you have to do with your own negative thoughts. Recognize them, act like they were uttered by someone else, and then dispute them. Simple as it sounds, this method has been proven in multiple studies. Mainstream news is driven by a simple truth: if it bleeds, it leads. Negativity dominates news broadcasts because it grabs our attention, draws us in, and keeps us glued to the television. If you want to decrease your negativity, ditching the news is a quick and easy way to do so. Doing stuff we’re good at—applying our strengths—feels good. Therefore, a great way to boost your positivity is to figure out your so-called signature strengths and then look for ways to apply them more often in your life. Finding out your signature strengths is as simple as filling out a survey called the VIA Signature Strengths Questionnaire. Not only will you learn something about yourself, you’ll even get a temporary high from it! If you’re curious, my top strengths are: Love of Learning, Honesty, Self-Regulation, Judgment, Perspective, Forgiveness, and Social Intelligence. The key to making this work is to do something that pulls you out of your normal routine, something extra, special, and remarkable. The Happiness Advantage by Shawn Achor. The premise: Delaying happiness to create success doesn’t work. Instead, be happy now and then use its positive effects to become more successful. The How of Happiness by Sonja Lyubomirsky. The most complete book on the science of happiness, period. Love 2.0 by Barbara Fredrickson. This is her latest book, all about social connections and a new definition of love.